It’s the worst feeling in the world waking up planning on that nice steamy shower, only to realize that your hot water heater stopped working at some point during the night. A broken water heater can also cause thousands of dollars in damage to your home and belongings. Here at Sanders and Johnson, Inc. Heating and Air Conditioning, we serve all types of Denver, CO water heaters. We offer the highest quality brands including Bradford White, and Rinnai. Sanders and Johnson, Inc. has provided the Denver area with honest work for honest prices since 1977. When you’re looking for heating services look no further than Sanders and Johnson, Inc. Heating and Air Conditioning. Give us a call at 303-422-6606. Should I Use a Gas or Tankless Water Heater? 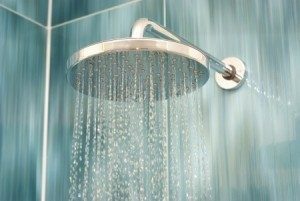 There are a few advantages to using a gas water heater over a tankless or instant water heater. Gas heaters tend to cost less up front, and are therefore ideal if you do not plan on living in your home for much longer and just want one to get you by. Talk with one of our certified HVAC technicians today to determine if a gas water heater is right for you. Have you been thinking about making the switch from a traditional water heater to an instant water heater? Instant, or tankless water heaters are advantageous choices for a couple reasons. • Better for the environment — An instant water heater is great, because you only heat the water that you are going to use. By doing this, you’re not just wasting energy keeping a large tank of water at the ready 24/7. Another plus: Saving energy means saving money on your utility bills! • Long-lasting — On average, a tankless water heater can last 20 years or more, which is much longer than the traditional water heater. Tankless heaters are a home investment that truly pay off over time. Contact Us today to install your new water heater in the Denver area!